Much like language, data and data visualizations can be used to both clarify and confuse. I’m an advocate for the former, not the latter. To be fair, there’s plenty of precedent for these terrible visuals. 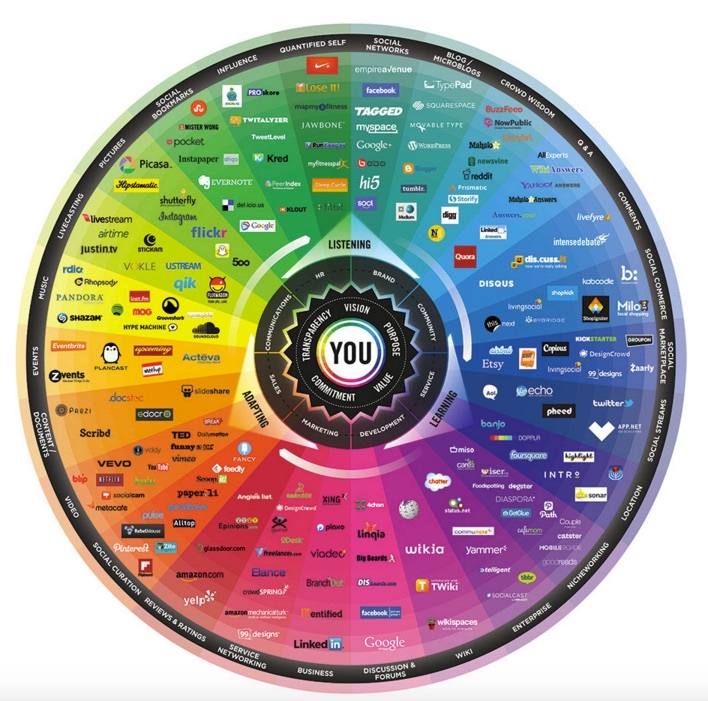 See the Conversation Prism and this downright marketing atrocity. Remember the definition of the word communicate: to make common. What’s the point with the one at the top of this post? 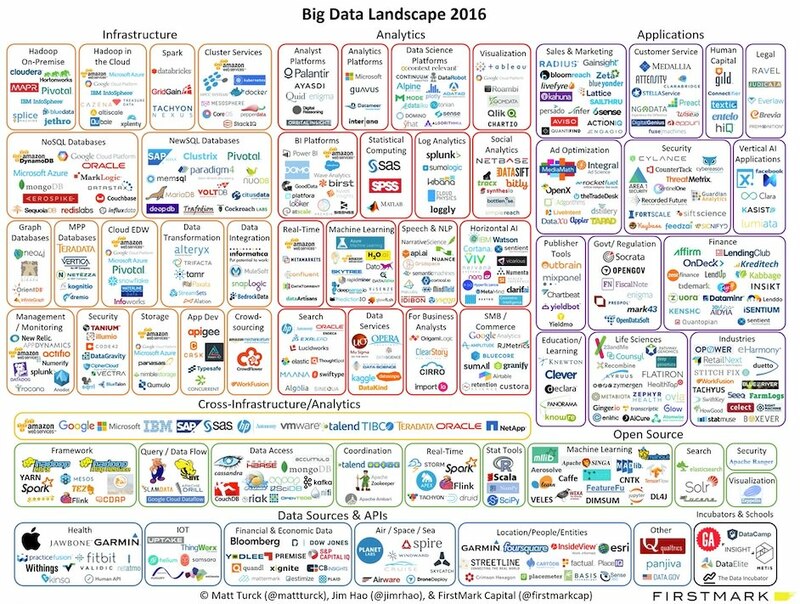 Perhaps it is to convey that the “Big-Data landscape” is vast—and that is certainly true. If the creators’ intent is to convey actual understanding, though, this visual fails miserably. Forget for a moment that we’re living in an era of increasingly smaller screens. Even with a 50-inch monitor two feet from our faces, most of us would barely be able to make out each of these logos, to say nothing of actually comprehending what they mean. Simon Says: Just because you can doesn’t mean that you should. Remember the definition of the word communicate: to make common. If readers can’t even see your visual, then what are the odds that true understanding takes place?